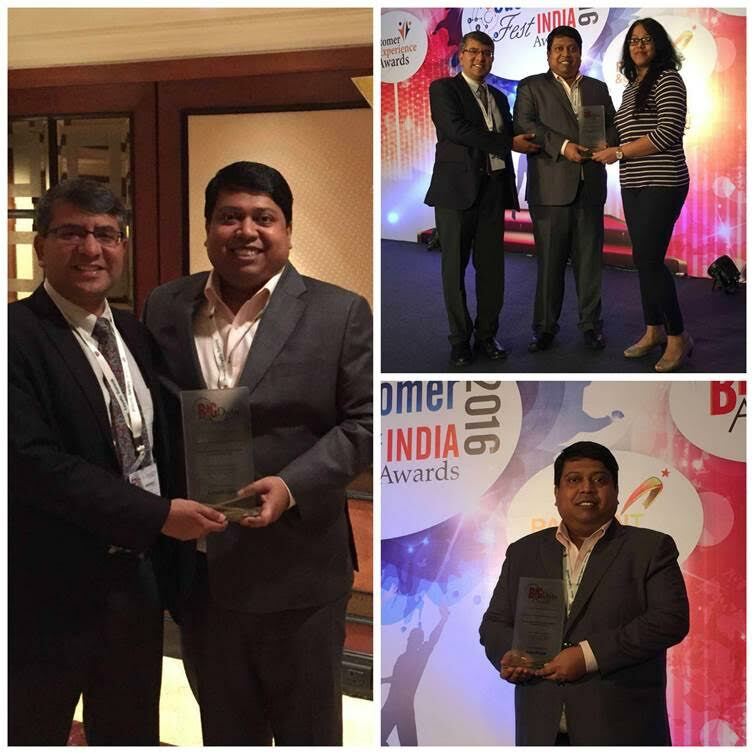 Mumbai, February 3rd, 2016: Marketing analytics company Absolutdata received the Excellence in Big Data Analytics Award for their outstanding contribution in the field of big data at the prestigious 9th Customer Fest 2016 event held at Taj Land’s End, Mumbai. Regarded as one of the most prominent business events in South Asia, it encompasses 4 parallel conferences including the Big Data & Analytics Summit, Loyalty Summit, Awards, Payment & Cards Summit, and Customer Experience Summit. The Customer Fest India is the country’s only end-to-end customer focused platform to collaborate, discuss, network and highlight the best practices and initiatives to decode consumer behavior. Over the past few years, the fest has evolved as a mega industry event that sees in attendance Asia’s leading practitioners who debate on strategies, insights, challenges and growth opportunities around customer building and retention. This year was no different. Absolutdata battled competition from a host of nominees in a rigorous shortlisting process that put the contenders through multiple challenges. After providing details on a range of accomplishments, submitting case studies and facing personal interviews with the jury members, contestants were evaluated and Absolutdata was awarded the top honor. Absolutdata offers a suite of analytics products and services that fuse data, technology and analytics to transform the way global companies make decisions. Over a decade of global Decision Engineering services expertise includes big data strategies, machine learning, predictive modeling, marketing analytics, IoT solutions and data management services. The NAVIK line of easy-to-use cloud-based products puts the power of advanced analytics into the hands of marketers, line-of-business managers and analysts. Together, these products and services have empowered Fortune 1000 companies across the globe to make better marketing investments, create more lucrative customers, achieve operational excellence and compete at a higher level. Founded in 2001, Absolutdata is based in San Francisco and employs 450 professionals across offices in San Francisco, Los Angeles, New York, Chicago, London, Singapore, Dubai and Gurgaon. For more information visit the Absolutdata website, read our blog, and follow us on LinkedIn and Twitter. www.absolutdata.com.